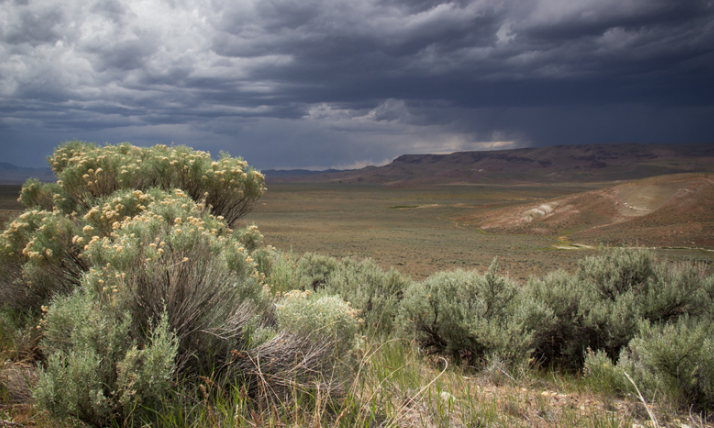 Obama backs off Owyhee designation, could Oregon Standoff be why? Home /latest_news, Property Rights/Obama backs off Owyhee designation, could Oregon Standoff be why? Despite the fact that mainstream media and left-wing environmentalist launched a smear campaign against the ranchers and their supporters, the Administration and its political allies, worried about the repercussions of the Oregon Standoff. WikiLeaks published an email exchange between Mike Matz of PEW Environmental and Hillary Clinton’s campaign chief, John Podesta, indicating just that. Matz mentioned the Malheur ‘occupation’ twice in his email to Podesta. After a gluttonous spree of land-gobbling by the Obama Administration using the Antiquities Act as a fort and knife, one previously targeted region was spared, leaving Americans to wonder whether volatile bad press was a factor in its exception, or if the clock just ran out. Pushed by outdoor recreation corporations and left-wing environmentalists, the Administration was eyeing a rugged and resource-rich area of southeastern Oregon to be designated as the Owyhee Canyonlands National Monument. The Conservation Alliance, a syndicate of global outdoor recreation corporations–looking to expand their markets in the United States and abroad–lobbied Obama heavily to lock up Owyhee Canyonlands, but in this case their efforts fell short. Oregon Sen. Jeff Merkley told OPB Sunday that Secretary of the Interior Sally Jewel told him the proposed Owyhee Canyonlands National Monument in Eastern Oregon’s Malheur County has been shelved. Merkley says he doubts President Obama will make the proclamation before leaving office Friday. That’s encouraging, but at this writing Obama still has time to make the proclamation. Backed by the Oregon Natural Desert Association and Portland’s Keen Shoes, the proposed Owyhee Canyonlands wilderness and conservation area would cover 40 percent of Malheur County — about 2.5 million acres of what is now controlled by the Bureau of Land Management. Residents believe the designation would be accompanied by restrictions and regulations that would prohibit or severely complicate grazing, mining, hunting and recreation. While proponents say traditional uses of the land will be allowed, local opponents don’t believe them. When the locals put it to a non-binding vote — because locals really don’t get a vote — 90 percent of Malheur County voters opposed the monument proposal. We don’t know why the proposal has been shelved, or if it really has been shelved. It could be the administration thinks the designation would be too inflammatory, given the area’s proximity to the Malheur National Wildlife Refuge, the site of last year’s armed occupation by followers of the Bundy clan. It could be Obama chose an easier target, instead expanding the Cascade-Siskiyou National Monument in Southern Oregon earlier this month. About 2 years ago, locals in southeastern Oregon; ranchers, community leaders, foresters, and others, mounted a campaign called Our Land Our Voice to stop the federal designation of an area in Malheur County as a national monument. And of this writing–following the exit of Obama and his Interior department–history must conclude that the people of Malheur County won against great odds. But other regions of the country, California, Arizona, New Mexico, and most notably, Utah, have had millions of acres seized by the Obama monument-making machine, where grassroots efforts to protect locals and resource-based economies apparently failed. The question remains, why? Last years, locals, including ranchers, small business owners, and the Navajo and Ute tribes in southeastern Utah mounted a campaign similar to Our Land Our Voice, titled Protect the Bears Ears, a rallying point for those opposing a proposed 1.9 million acre monument that would cover most of San Juan County. On January 28, while in Hawaii on vacation, Obama announced that 1.35 million acres in San Juan County would forever be controlled by the National Park Service, and Bears Ears National Monument was born. * With the help of alliances between big outdoor rec, radical environmentalists, and Obama’s Interior chief, Sally Jewell–the literal embodiment of both big outdoor rec corporatism and radical environmental ideology–hundreds of millions of acres have seized by D.C. and cut off from economic development, effectively frozen in time. The folks behind Our Land Our Voice, and thousands of people from small communities in southeastern Oregon, held their breaths until the very last minute. But more than a mere omission, their reprieve may have had everything to do with events which took place a year ago in their very backyard. On January 2, 2016, ranchers led by Ammon and Ryan Bundy gathered at the Malheur Refuge, near Burns, Oregon, to protest what they believed was the unjust imprisonment of the Hammonds. Father and son ranchers, Dwight and Steven Hammond, were convicted months earlier on terrorism charges stemming from prescriptive burns on their own property, and continue to languish behind bars today. Although peaceful, the protest at the Malheur Refuge whipped up a firestorm of controversy, which climaxed with the killing of Arizona rancher, LaVoy Finicum by government agents, and the arrests of the leaders of the protests. The three monuments in southern California that Sen. Feinstein supports have been teed up for the President’s signature since December. The situation in the Malheur Refuge has now caused understandable delay. However, we believe it should occur as soon as possible after the denouement of that occupation. There is significant local support for these designations and the conservation community and other stakeholders locally and nationally are prepared to amplify that positive reaction. The Owyhee Canyons in southeastern Oregon had been percolating along until the Malheur occupation caused a major hiccup. However, we hope the Administration doesn’t lose sight of this one. It’s biologically very important, and is a nice complement to the Idaho portion of the canyonland that was protected in the 2009 omnibus lands bill that Obama signed into law. We recognize that Sen. Wyden is not the most popular member, and that it will take movement by him and Sen. Merkley to introduce a bill and be more forceful advocates, and we’re working on that. In the months following the Oregon Standoff, the arrests of the protesters and the killing of LaVoy Finicum, friends, family members and supporters of the protesters began to make their voices heard. Jeanette Finicum, LaVoy’s widow, and several of his children, made public appearances across the country to tell his story, and share their views about constitutional property rights, and the importance of ranching to the West. The killing of LaVoy by Oregon State Troopers and the FBI remains controversial to this day, with various analyses of the timeline concluding that the killing was, at worst, a set up, and at best, an overreaction. The biggest blow to the Administration’s case against the Malheur protesters came in October last year when the first wave of defendants, including Ammon and Ryan Bundy, were acquitted of all charges by a Portland jury. Despite the fact that mainstream media reporting about the Oregon Standoff cast the ranchers in a largely negative light, it set off a disquieting feeling across the nation that government had become the persecutor of its citizens, and not their protector. After being acquitted in Oregon, the Bundy brothers, and their father Cliven, were set to be tried in Nevada on charges related to the Bunkerville Standoff in the spring of 2014. The results of that trial are anyone’s guess at this point. But there’s no question that national eyes are watching, and an increasing number of Americans–especially those from the heartland who amassed to elect Donald Trump as president–are disgusted with the treatment by the Obama Administration of ranchers and landowners in the West. It is possible that the activities and personal sacrifices, primarily by LaVoy Finicum, the Bundy family and others imprisoned by the feds over protests against aggressive federal agencies, ultimately saved the folks of southeastern Oregon from having their lands and resources ripped from them via presidential proclamation. *Utah leaders and locals in San Juan County have called upon President Trump to reverse the 1.35 million acre Bears Ears designation. The reason no monument designation was because of Jewell’s relationship with Oregon Cattlemen Association’s John O’Keefe and his pseudo-enviro collaborator wife Jane, both having bought into the Jewell Sage Grouse Initiative. The notion that Barack Obama was scared off at Owyhee by Bundy and Finicum is far-fetched at best. If Obama was worried about the ire of the Bundy clan, would he have designated the Gold Butte National Monument directly around the Bundy Ranch in Nevada? Would he have designated the extremely contentious Bears Ears National Monument in Utah? He did both. The theory that Obama was intimated by the Bundy occupation is baseless, and it’s likely to encourage further extreme armed actions. They the goverment always says the use of the land will remain the same but when the news dies down the regulations from forrest service and BLM creep in and strangle anyone who is a preexisting user of the land until things get crazy and the people stand up against the regulations.